CBD oil contains the nine essential amino acids that our body requires, but does not produce on its own. Tens of thousands of studies have demonstrated the wide array of potential benefits that CBD oil may have. CBD oil is available in Premium: 99.7% THC free or Pure: 100% free of THC. Provided in liquid, capsule, paste, spray, vape, essential oils, skin care and chews form. 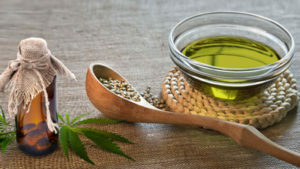 Cannabidiol, also known as CBD, is rapidly transforming from a little known molecule into a potential breakthrough nutritional supplement as it grows in acclaim among the health conscious. The main functional difference between hemp and marijuana is the measurable level of THC. Marijuana is grown specifically to contain significant levels of THC, usually for recreational use, and grows short and bushy. Hemp has only trace amounts of THC and grows tall and lengthy. It is used around the world mostly for fiber and textiles. CBD found naturally in hemp is legal in the USA. Medical research has shown that cannabidiol is not psychoactive which makes CBD safe for use by everyone, regardless of age. CBD interacts with the body’s naturally occurring endocannabinoid system which is responsible for creating homeostatis within the body by promoting balance in mood, appetite, sleep, hormone production and immune response. It is the human body’s largest self-regulatory system with receptors throughout the brain, central nervous system and the immune system. How do I get CBD oil from IHD? You can visit our clinic and pick it up for yourself. Get directions by CLICKING HERE or you can see about ordering online by visiting www.healthandcbd.com.